The University of Queensland's Dr. Brad Woodworth, who led the study with researchers from the University of Windsor and University of Guelph in Canada, said the research showed that hot weather reduced the survival of tropical birds. "Our study suggests that further increases in temperature may threaten the persistence of tropical animals accustomed to hot environments – unless they are able to shift to cooler areas," Dr. Woodworth said. 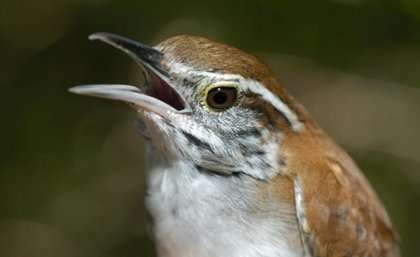 The research team studied a population of rufous-and-white wrens living in the Guanacaste Conservation Area in Costa Rica. Each year, they captured birds in mist nets, gave each animal a distinctive combination of coloured leg bands, and then surveyed the population to see which birds were still alive and which had perished. 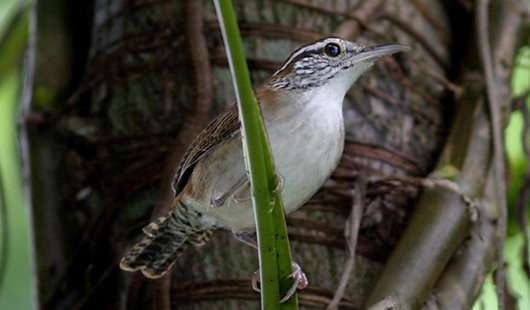 "We found that wren survival did indeed vary with climate – so when temperatures were high, the wrens suffered higher mortality," he said. The forests of north-western Costa Rica experience two seasons—a dry season from December to May, and a wet season with as much as three metres of rain from May to December. "Survival was particularly sensitive to conditions during the dry season, and it was particularly pronounced for males," Dr. Woodworth said. "Females showed lower survival than males overall, but female survival was not heavily influenced by temperature variation the way it was for males." University of Windsor researcher Professor Dan Mennill said most of the world's birds, and most of Earth's biodiversity, were concentrated in the tropics. "But studies of how climate influences animal survival have focused primarily on migratory birds or birds that live in temperate environments," he said.